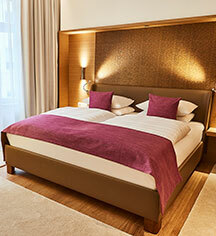 The six story Hotel Vier Jahreszeiten Kempinski Munich boasts 305 beautifully appointed guestrooms and suites. No room is like the other, but each room is a luxurious retreat for discerning guests who appreciate individual style and outstanding white-glove service. 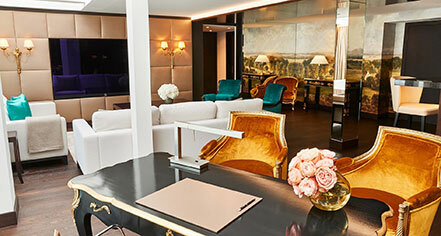 Royal Ludwig Suite – Stay in Munich's most luxurious suite. Sumptuous materials and exclusive interior, calf leather flooring, art on the ceilings, and a view of Maximilianstrasse. Modern luxury at 190 sq meters, with exclusive Butler Service, as well as in-room sauna.